Pixalien is a creative team based out of the Los Angeles area that works with a large variety of businesses. We focus primarily on web design and graphic design services and our mission is to help awesome people like you, that have a taste for the unique and want to take an active role in their own success. Yes, you read that right - not everyone realizes that the most valuable resource in cultivating their business is THEMSELVES. For this reason, we partner up with you to learn about and completely engulf ourselves in your business. We do this to understand not only what you do, but WHY YOU DO IT. We then closely involve you in every step of the process to ensure that we are aligning ourselves properly with your vision and goals. To get to a great end-product, we rely on our tried and true approach. Every project begins with a brainstorming session. We ask questions that better help us understand who you are, what you do, why you do it and what you hope to achieve in the future. We then take those ideas and develop them into reality. Working closely with you, we create initial drafts to make our way toward the final product. The final phase of every project is the delivery phase. We take great care to make sure everything is in place and that your expectations are exceeded. Custom Wordpress websites Magazine & online advertisements Brand-focused print and web design Magento, Big Commerce & WooCommerce websites and much more. Visit our portfolio to view our work. The folks at Pixalien are simply the best. They are responsive and creative, they understand deadlines and most importantly they listen patiently to our requests and come up with solutions quickly. I look forward to referring anyone that needs a website their way! Robert & Stephanie are amazing people to work with. 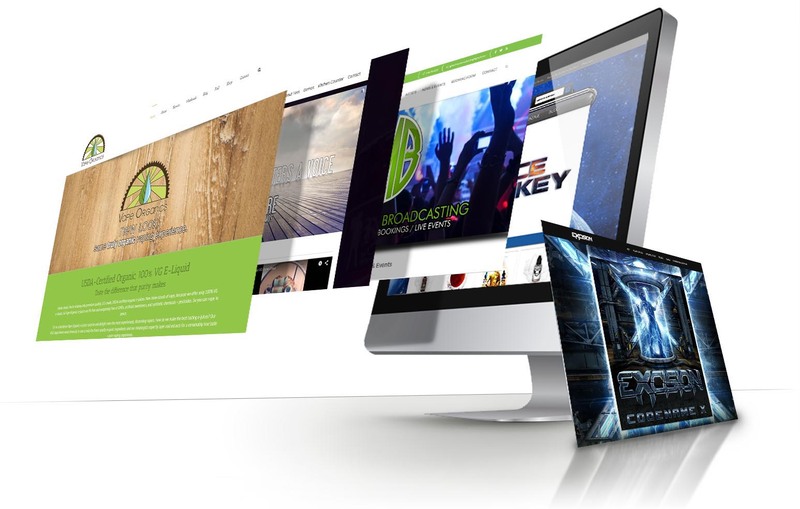 I have created and managed myself over 50 websites and now send all of my potential website opportunities to them because of their amazing quality and responsiveness. When I have a website I want to make sure it is a quality build and any changes I need happen in a timely fashion. The Pixalien team do a great job of both and give me and my clients the most value for our money compared to other website companies. From the moment I first Skyped with Pixalien, I knew they “got” me and my vision for my business. Everything ran so smoothly and any minor delays (I have to stress minor! ), were always addressed by Stephanie before I could even contact her! I knew I had homework to do going into this project as well. Stephanie would gently nudge me if I ever got off task and it was very much appreciated. Pixalien will work with you if their design isn’t matching your vision just right. They’re no slouches, and will quickly work to resolve any design tweaks you have. All told, the process was painless, efficient and I received an amazing website in return! Stephanie was always prompt in answering any crazy questions I had and kept me organized, and Robert understood exactly what I was looking for in my design. Plus, they’re just good people. Who doesn’t want to support good people? Thank you Pixalien! I’m getting amazing feedback from my newly designed, quick-loading site! We had a wonderful experience using Pixalien to create our website. They were very communicative and great listeners. As real estate agents, we had very specific needs for functionality, and they were able to listen to our needs a create a visually appealing product. We couldn’t be happier with Pixalien’s service and would recommend them without hesitation to anyone who is looking to build a website! My Name is Tess LaBella, and I had the extreme good fortune to be referred to Pixalien to design my voice over website. Although, I live in southern Florida and they are in Los Angeles, Pixalien worked tirelessly to create my site. Their attention to detail and artistic flair exceeded all of my expectations. They made themselves available at all hours including weekends, and created what I would call a Masterpiece. Their technical ability and originality made the entire process exciting and rewarding. They worked quickly and helped coordinate my site with all media outlets such as Facebook, Youtube and LinkedIn. Pixalien is also continuing to help manage the site and teaching me to do so. I highly regard Pixalien’s professionalism and would recommend anyone to use their creative services. The website they designed can be viewed at tesslabella.com. Pixalien are not only very talented graphic designers and web builders but they are truly a pleasure to work with! They have the amazing ability to take a very rough idea and translate it into a spot-on visual reality. I really appreciate that Pixalien always goes above and beyond to ensure the best possible result, and in a timely manner! The companies impeccable organizational skills and friendly & accommodating demeanor ensure everything runs smoothly– every time. Pixalien did an amazing job designing my site. They also provided insightful help as to how to market myself and my business. The ongoing relationship I have with them is invaluable and I highly recommend them to all my associates! Pixalien was great to work with! Communication was fast, quality was high, and price was great. They got us a finished product quickly. Noctem Audio will definitely work with them again!